You asked and we listened! Download the new MyEPark App at Google Play or iTunes. First time using the MyEPark App? You will need an EPark account. You can register for one when you download the app. If you have feedback on our app, please email epark@edmonton.ca, call 311, or leave a review on the App Store or Google Play Store. What’s new and improved in the MyEPark App? Start MyEPark App or go to m-epark.parkplus.ca. Click on Create an Account and fill out the form. Login again with your new ID and password. Click on the Profile icon in the right-hand corner and select Add Account Funds. Click on Set Up Payment Information if this is the first time you are adding funds to your account. Fill out the form. Select Manage Account to add phone numbers and vehicle licence plates. Fill out the form. You are now ready to be in mobile control of your paid parking. Click the three bars in the left-hand corner and select Start/End Session to record your stay at the EPark zones where you have chosen to park. If you need assistance, please email epark@edmonton.ca or call 311. Click on Forgot Password button. Enter the email address you provided when you signed up. Click on the Request Reset Password. An email will be sent to your email address. Retrieve the email (be aware it may take from 2 to 5 minutes for this email to arrive) and click on the embedded Reset Password link. The link will take you to a special reset display. 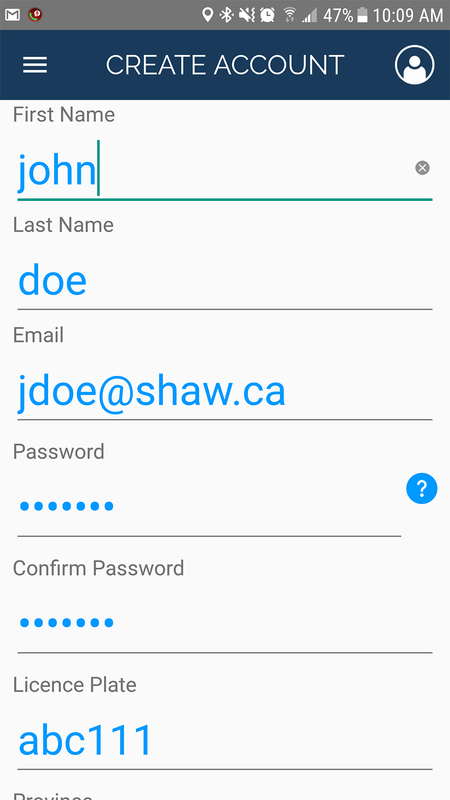 Now you can enter your username and set your new password. Remember, passwords must be at least 6 characters long, and must contain at least one UPPER case character. 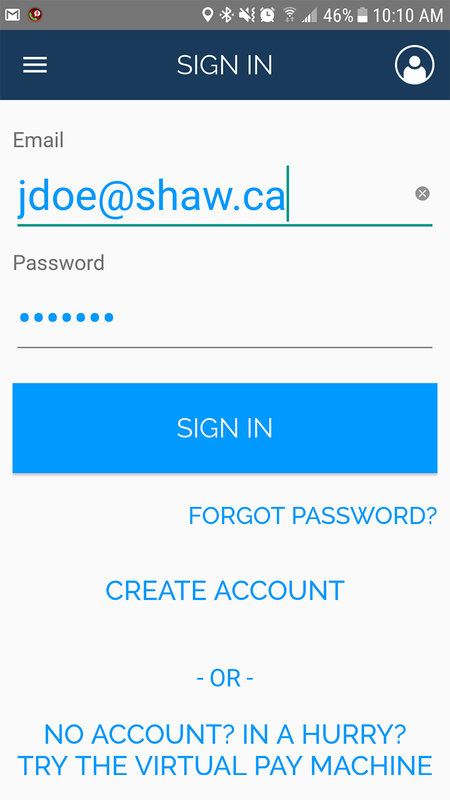 You can also use the option Forget Password by visiting m-epark.parkplus.ca. Login to your MyEPark app. Click on the three white bars in the left-hand corner and select Start/End Session. Select Start Parking Session or select a EPark zone icon to start your session. Enter zone number and duration (If you previously selected a zone number, the information will be auto-filled). 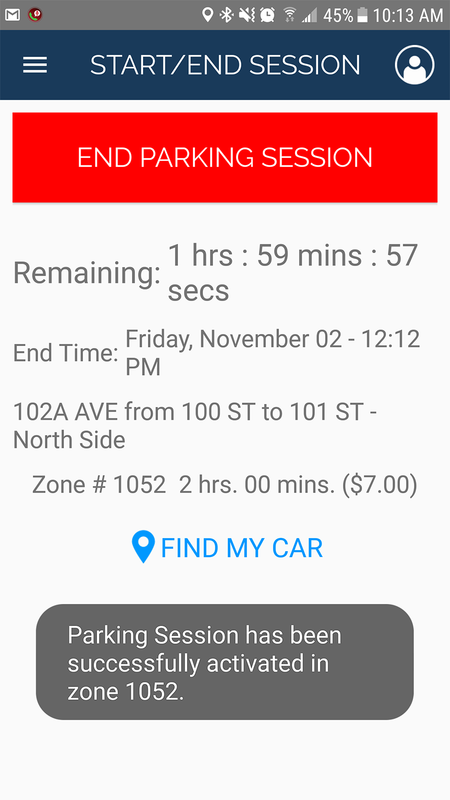 When you use the app to start and end parking sessions, a reminder that your parking sessions is ending will show up on your phone tray. You can also set unique sound alerts on your phone for parking reminders. You can also use the Quick Park option by visiting m-epark.parkplus.ca. If you activate your parking session through m-epark.parkplus.ca, you will receive a reminder that your parking sessions is ending by either phone call or email. Using Park a Friend, you can start a parking session for any licence plate that you like, even if it is not on your account. It doesn’t matter if the plate is attached to another account. Possible uses for this feature include rental cars, company cars or to impress your date by paying for their parking. Click on the top left-hand corner. Click on Park a Friend. Verify zone # is correct; if it is not correct please enter the zone # you would like to start a parking session for. Enter the licence plate you would like to start a parking session for (Enter notification # if you wish). Select duration of the session. Take a photo of where you are parked if you wish and click Start to confirm. The EPark App was designed for frequent parkers. It speeds up parking payments and can immediately provide funds back to the account holder in the case of early departure. Unlike other parking apps, MyEPark doesn't store credit card details. This keeps costs down and avoids transaction fees. The preloading of funds on an account means you only need credit card details when topping up, not when parking. Mobile services for MyEPark are powered by the City of Calgary's ParkPlus System. The City of Edmonton has worked in cooperation with the City of Calgary to deliver MyEPark to Edmontonians. 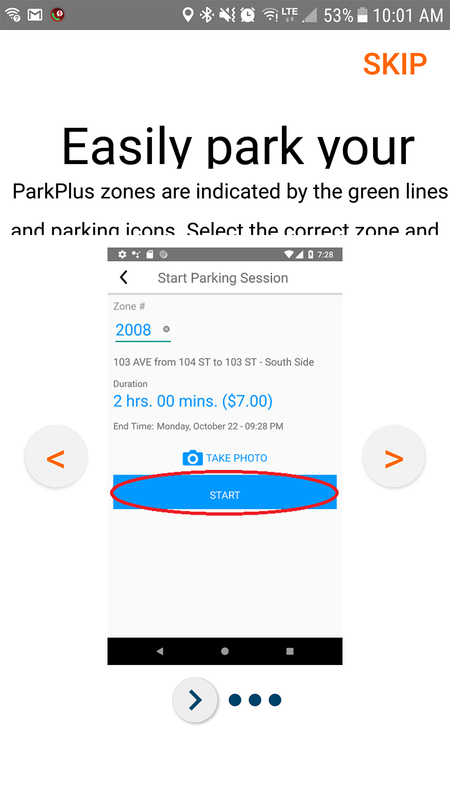 In signing up for a 'MyEPark' App account, I consent to receive electronic messages from the City of Edmonton regarding the EPark program and City of Edmonton parking services, including commercial content. I understand that I can withdraw this consent at any time by contacting the City of Edmonton's Parking Services Section at epark@edmonton.ca. This information is collected under the authority of section 33(c) of the Freedom of Information and Protection of Privacy Act (Alberta) (FOIP Act) for the purposes of administering the EPark program and providing parking management services. This information will be collected, used and disclosed in accordance with the FOIP Act. The EPark program is powered by the City of Calgary's ParkPlus System, which stores information on servers located in Alberta. If you have any questions about the collection, use, or disclosure of this information, please send your inquiries to Damian Griggs, Manager of Technology, Innovation, and Integration - Parking Services - City of Edmonton. 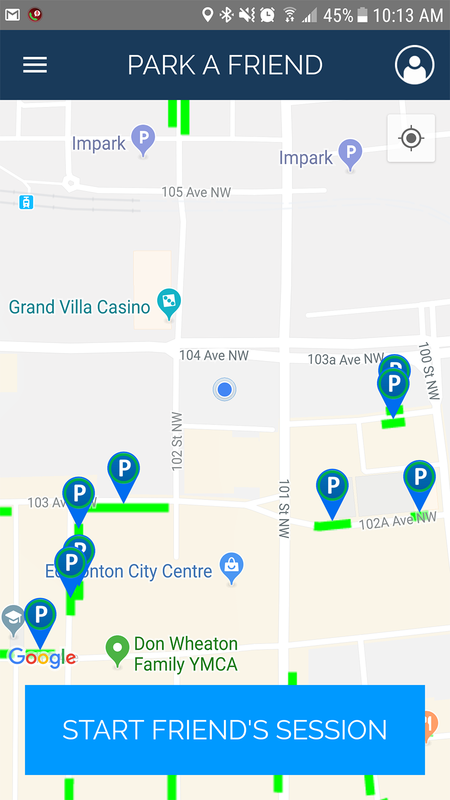 10111-104 Avenue NW, Edmonton, Alberta T5J 0J4, or to epark@edmonton.ca.